So what does he do to help? Work on an eMate, of course. 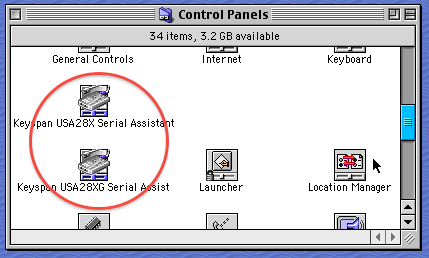 A great read on distraction-free productivity using classic hardware. Posted by davelawrence8 at 10:39 am on August 8th, 2013. No comments... » Categories: eMate, GTD. 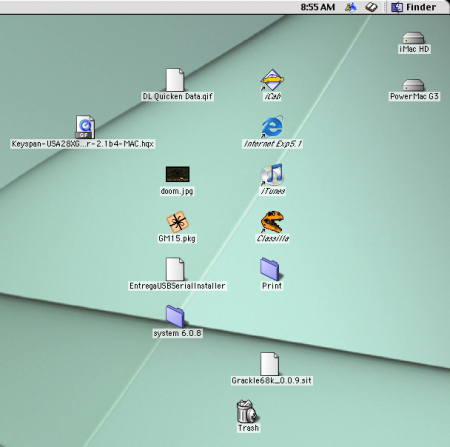 Tags: eMate, GTD, newton, productivity, writing. Subscribe via RSS. Mike Grimm, darn near a neighbor to me over in Fowlerville, Mich., shared a collection of his own Apple portables – including an Newton eMate 300, several varieties of iBooks, and a PowerBook 190 (“Ready for PowerPac Upgrade“). “Eventually there may be some of the vintage desktops, and maybe a couple of PDA shots,” Mike said over e-mail. I don’t see the neon eMate styluses very often, but Mike shares a bright orange one in his eMate shots. Posted by davelawrence8 at 5:49 am on September 7th, 2010. One comment... » Categories: eMate, ibook, lowend. 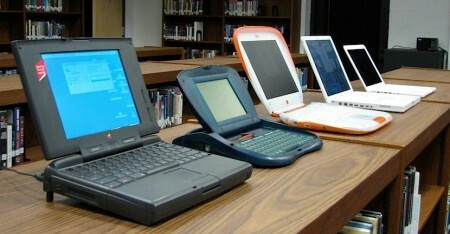 Tags: apple, eMate, ibook, lowend, macbook, newton, portables, powerbook 190, vintage. Subscribe via RSS. For a long time, my Newton MessagePad 110 was the only Newton I owned. Having a Newton OS 1.x device limited my software and tinkering options, however, so I shopped eBay and picked out a nice eMate 300 to try out the Newton OS 2.x software. As a writer, I dig the built-in keyboard and convenient carrying handle. For frugle reasons, I enjoy the low cost of entry. It’s not the fastest or most up-to-date Newton, but for my modest needs (i.e., I don’t use it everyday), it’s perfect. The eMate makes a great writing machine. Using something simple like NewtonWorks, or even the Notes app, lets you type up a storm and then export the file as an RTF or plain text file for your Mac or PC. There have only been a few instances where I have noticed the eMate slowing down, and it has all the stock options that an MP2000 or MP2100 comes with. And at $30 to $40 a unit on eBay, an eMate costs about half as much as a nice MP2x00. If you’re just looking to get started with the Newton, an eMate is your most affordable option. Keep in mind that an eMate is not the most powerful Newton. 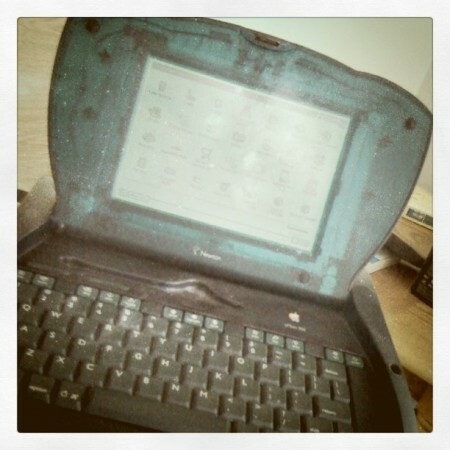 Clocking in a 25 MHz, with 3 MB of RAM, the eMate is only a step above the MessagePad 130. 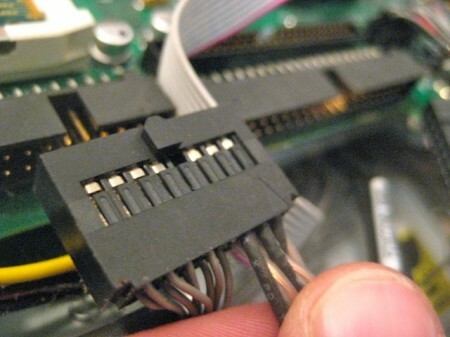 MP2x00 models weigh in at 162 MHz (with a StrongARM processor) with up to 8 MB of RAM. 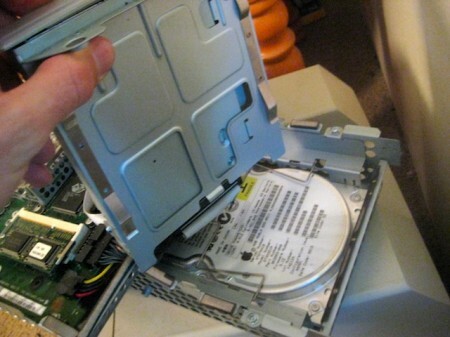 If you want speed, you’re going to want a upgraded MessagePad 2000 or MP2100. The other caution I have is with batteries and charging. My own unit has a flaky relationship with its rechargable battery pack, and you have to get DIY to install your own AA battery tray. With an MP2x00, you can pop in regular AA rechargable batteries and hit the road. It’s a bit more complicated with the eMate. 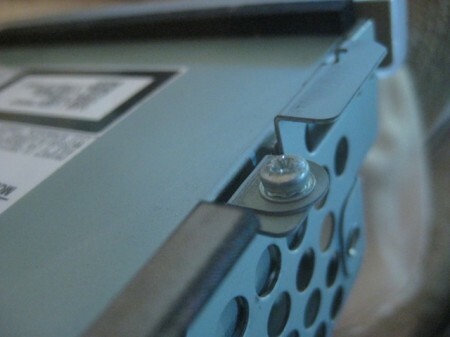 There’s also the hinge problem. But man, the eMate 300 makes for an easy, accessible way to get started with the Newton. Even if it’s just to own a piece of Apple history, or try out some old-school NewtonOS software, plunk down $30 on eBay for an eMate (with AC adapter and stylus!) and you’re good to go. Posted by davelawrence8 at 6:26 am on July 23rd, 2010. 2 comments... » Categories: eMate. 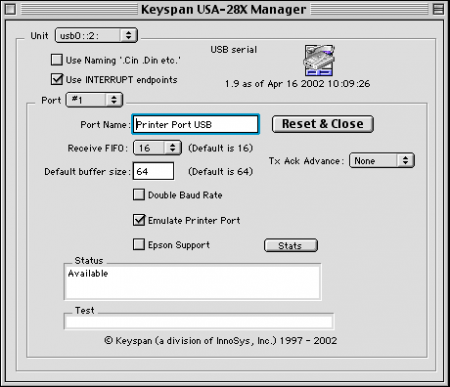 Tags: eMate, messagepad, newton, uses. Subscribe via RSS. Syncing Claris Organizer with Newtons – denied! Through my dragged out Seven Days of System 7 experiment, a few obstacles have blocked a full immersion in mid-90s Mac’ing. 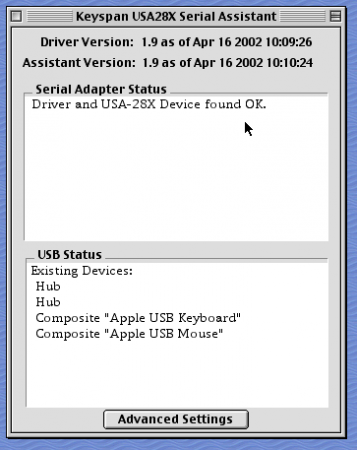 First, there was my lost Entrega USB adapter disc. 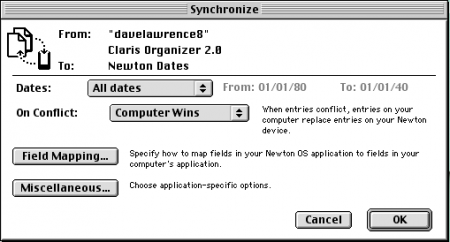 Now I find that Claris Organizer and Newton Connection Utilities (or perhaps my eMate) can only hold hands. They never get past first base. Throwing PIM data into Organizer is a snap. The whole thing is setup just like an Outlook/Entourage/Address Book + iCal system. Even the search works like a charm, and it’s a wonder why Apple didn’t keep Claris Organizer, instead of selling it to Palm, and making a unified PIM system. Maybe it’s the Outlook pro in me, but I prefer it that way. 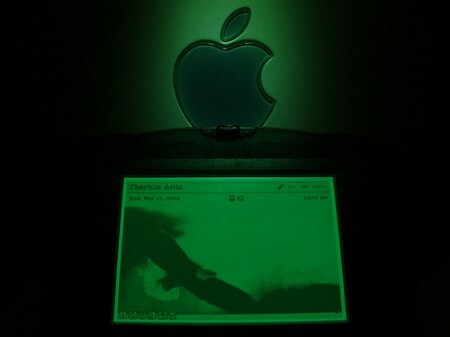 I built a test account in Organizer, adding a few dates and contacts just to see if it would sync with my Newton. Organizer is a little different in that, once you get your information logged in, you have to save the whole thing as a profile file (in this case, the “davelawrence8″). Everything – contacts, calendars, to-dos – lives in that file. And at first, everything seemed easy and promising. 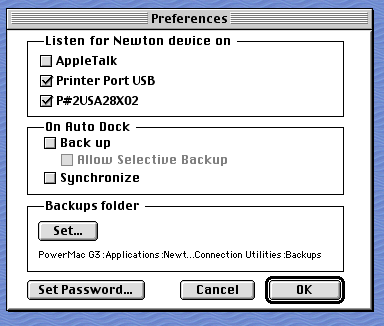 Through Newton Connection Utilities, you set the Newton’s sync file to whatever Organizer file you saved as your main profile. 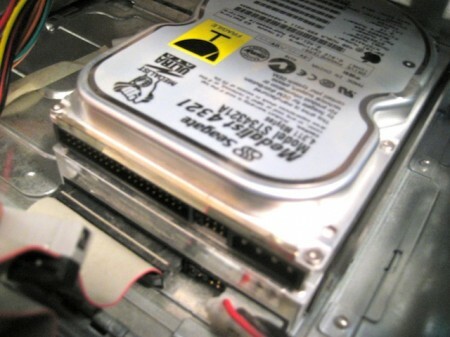 To sync, you manually connect each Newton data pool to the appropriate file. In this case, I want everything – my to-dos, my contacts, etc. – to sync with the Newton. And for this first time, I set NCU to let the Mac’s information override anything already on my Newton. After the initial sync, I would let it go the other way around, where anything changed on the Newton would be dominant. 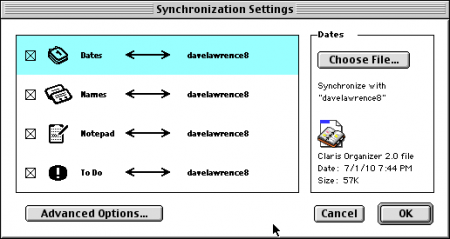 Clicking “Synchronize,” NCU looks like it’s going to sync everything with the Organizer data. And then bonk. There’s a connection error. Since I tried to fit the whole PIM bundle the first time, I wondered if it was too much. Instead, I tried syncing the PIM info bucket by bucket. For the first test, I tried just syncing the contacts in Organizer. Everything goes fine. NCU takes a few seconds to pull down Organizer’s data and push it through the serial connection with my eMate. No problems. Next, I try the calendar data. And here again, NCU looks likes it’s going to work, and then bam. Another connection error. “Maybe it’s my repeating meeting appointment,” I think to myself. So I set my recycling meeting to occur only once instead of a repeating appointment. That’s where things stand now. I’ve been defeated. 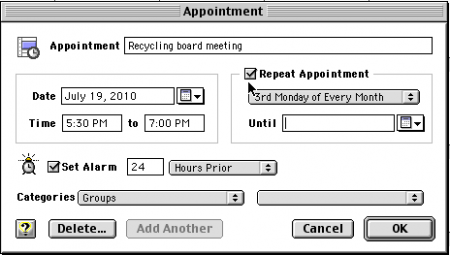 The only thing left to try is to-dos, and maybe do a reverse sync – to see if an appointment added to the eMate manually gets synced with Organizer. All this is part of the fun of setting up a system for the Seven Days experiment. I haven’t even got a good start on the thing when, POW, some roadblock stands in my way of full integration. A side benefit: I did come up with a simple Automator Services script (above) that takes PICT files from OS 8/9 and adds the .pct extension to the files in batches. Since I do this quite a bit, making the mundane task a Service was pretty handy. However, as you can see, Preview gives me sass on how to open up these files for viewing. So I said to hell with it and used Photoshop for any editing. But the “add .pct” Service is still a hit. Posted by davelawrence8 at 7:02 am on July 7th, 2010. 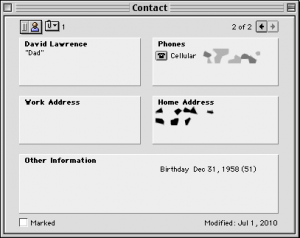 3 comments... » Categories: eMate, lowend, software, system7. Subscribe via RSS. Posted by davelawrence8 at 7:06 am on March 29th, 2010. No comments... » Categories: apple, eMate, ipad, newton, y2010. Tags: eMate, fix2010, ipad, messagepad, news, newton, newtonscript, programming. Subscribe via RSS. 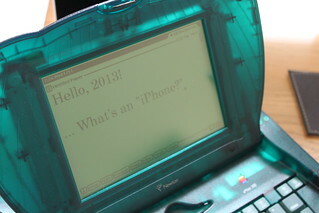 Grant Hutchinson (aka, splorp) posted a nice shot of the prototype, clear-plastic Newton eMate 300. He’s been on a roll lately, sharing photos of his Batman and Cadillac prototypes. Sonny Hung has a bunch of clear-case Newton pics up on his Flickr, too. And then there’s the mythic orange eMate – with extra Vitamin C.
Check out our interview with Grant from a few weeks back at The hello Show. Posted by davelawrence8 at 6:54 am on March 22nd, 2010. No comments... » Categories: eMate. 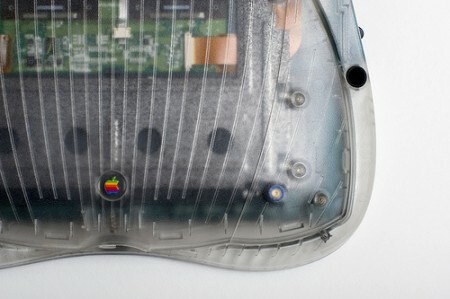 Tags: apple, case, clear, eMate, newton, PDA, prototype. Subscribe via RSS.